According to the new law, PhilHealth is designated as the national purchaser who will obtain these services. In a healthcare system, "purchasing" refers to the process by which funds are transferred to healthcare providers to obtain health services for the population. According to the new law, PhilHealth is designated as the national purchaser who will obtain these services. 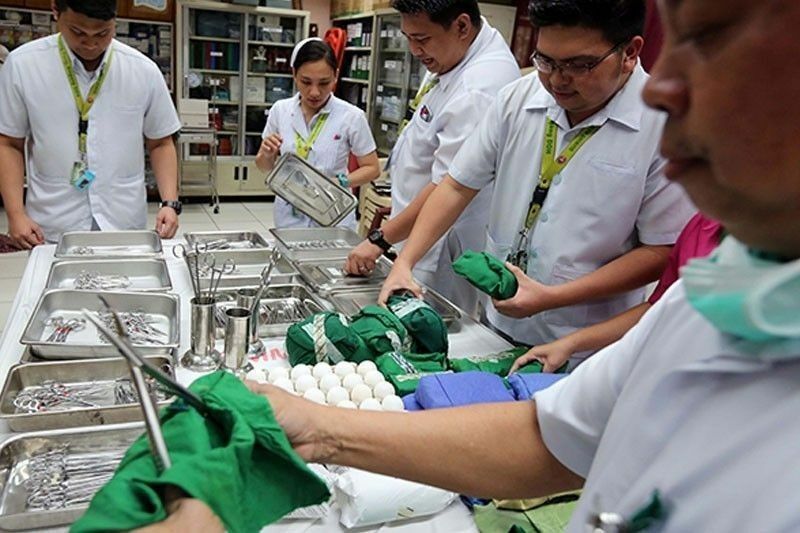 The implementation of the UHC law will thus constitute critical reforms in the current health system, as PhilHealth will require around P22 billion just for this year. In a statement, Dr. Roy Ferrer, president and chief executive officer of PhilHealth, said that the agency stands to get P18 billion through the General Appropriations Act and an additional P217 billion from premium collections. In 2017, the total assets of the agency stand at P151.8 billion, with reserve fund of around P85 billion. In the same year, based on the Commission on Audit reports, the agency incurred a net loss of P4.75 billion, negatively affecting the efficient implementation of its program. Aside from this huge loss in 2017, PhilHealth was also unable to avail of the government's P37.06 billion allocation for indigents premium contribution. Given the above figures, together with the mandate of the new law, PhilHealth should have by now clear and transparent, and probably multi-year, phases detailing the strategies on how to properly transition the expansion of health coverage. Thorough planning, with regular monitoring and timely evaluation, of phases is vital in the success of the implementation of the new law. A common suggestion during the evaluation process is to hire external evaluators who are qualified to assess, without any bias or conflict of interest. Allegations of corruption in any sector and level of the government may undermine the efforts in achieving the goal of UHC. Based on the global perspective, 17 percent of people worldwide had paid a bribe when dealing with the medical sector (Global Corruption Barometer 2013 by Transparency International). The DOH is not exempt from this. In addition to the immunization issue, it also investigated another anomaly pertaining to the construction of Barangay Health Stations worth P8.1 billion. These kinds of allegations in the health system will not help in reaching the goal of universal coverage. These may even deter patients from seeking careup until conditions have become worse, like the series of events that led to the measles outbreak. On the positive side, Thailand’s journey toward universal coverage has been frequently cited as an example of a middle-income country that managed to provide universal health insurance coverage within a relatively short period of time through strategic purchasing. Its Universal Coverage Scheme is the largest and most instrumental scheme in the expansion of coverage to the poor and to those in the informal sector. It mostly relies on funding support from the central government and is channeled to providers through a system in which the purchaser and provider are separate from each other. In the Philippines, PhilHealth needs to have a clear mandate for being a strategic purchaser based on legal provisions that will specify its powers, such as decision-making and a sufficient level of autonomy. On the other hand, the lack of a clear mandate and an unclear division of authority may lead to incoherent decisions on the benefit package, provider payment methods or contracting policies, or even conflict with other agencies or sectors. As defined by the World Health Organization, "strategic purchasing" means active, evidence-based engagement in defining the service-mix and volume, and selecting the provider-mix in order to maximize societal objectives. This therefore requires a robust, reliable and secure data and information management system to ensure proper governance and operations. With today’s advancements in technology, the Philippine government is still considered as a novice in terms of effectively deploying appropriate IT systems. Just last month, President Rodrigo Duterte has directed the Philippine Statistics Authority and the Office of the National Security Adviser to speed up the implementation of the Philippine Identification System. If implemented soon, this unified ID system can be instantly linked to PhilHealth for efficient authentications and data management of the UHC. Likewise, unifying data collection and management of its sub-systems into one will prevent fragmentation and duplication. Hence, more resources maybe allocated to strengthen strategic purchasing based on the population needs. Majority, if not all, will agree that reforming the present health system of the country to achieve universal health coverage will take more time than expected. A bit of caution to PhilHealth with respect to health purchasing: pursuing unrealistic goals may lead to subsequent disillusionment and barriers to what can be achieved realistically. By now, the leaders of this agency should learn from the previous mistakes and prevent them from happening again, and institutionalize the good lessons from the past years. Nevertheless, as the national purchaser, it is important that the requirements of PhilHealth must be well aligned with the most reputable and reliable providers. It is equally important for the general population to clearly understand their rights and benefits under the Universal Health Care Act. Alvin Manalansan is a health fellow at the Stratbase ADR Institute, a partner of Philstar.com.